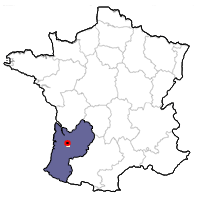 Château Haut-Mayne is located on a plateau in Preignac in the northern part of the Sauternes appellation. Its just a few miles northeast of the the village of Sauternes, not far from the Château Bastor Lamontagne, and a few kilometers from Château d'Yquem and Lafaurie Peyraguey. The Roumazeilles family owns Haut-Mayne as well as the nearby winery Château Grillon. 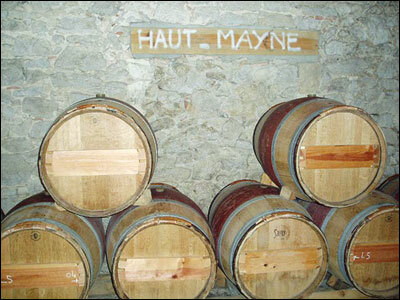 The Haut-Mayne vineyard is comprised of 10 hectares (25 acres) planted on clay and limestone. The grapes are picked during three or four passes through the vineyards, with a further sorting just before pressing. 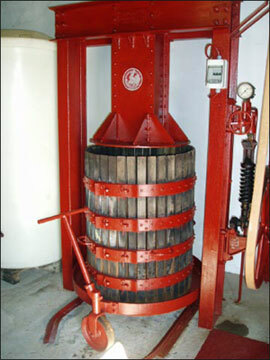 After being completely destemmed, the grapes are placed in a hand operated basket press, where the juice then runs into cement tanks or barrels. The macérations is relatively long, and all the wine is ultimately aged in barrel, of which 25% is new each year. The final blend is normally 85% Sémillon and 15% Sauvignon Blanc. Bottling takes place after approximately 18 months in wood.